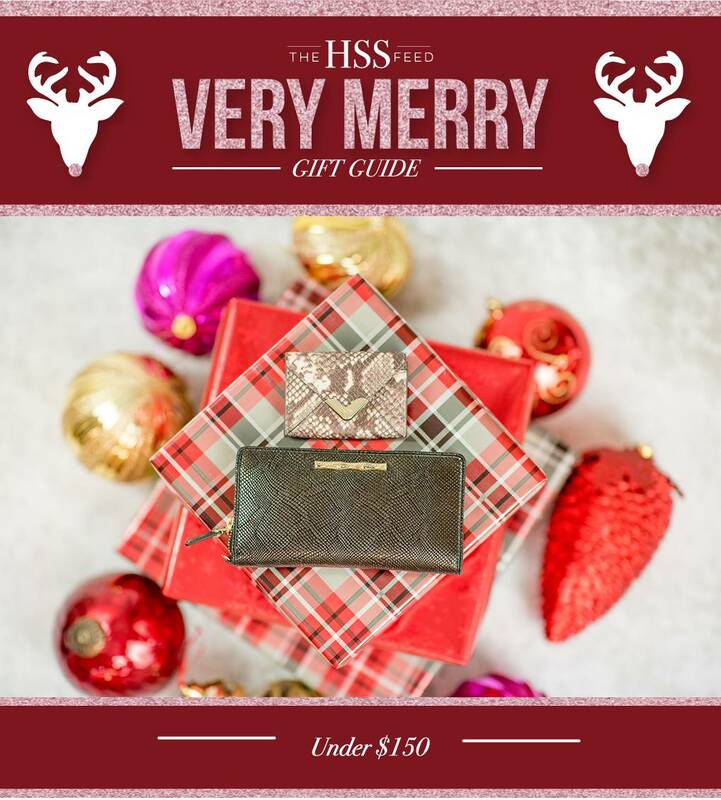 I’m excited to partner with Elaine Turner on this gift guide to share some great accessory gifts under $150. What I love most about all of these gifts is that they all look and feel very luxurious and expensive. Also, everything I’ve included in the collage below comes in at least 2-4 other prints and colors. I picked my favorites, but there are so many great, textured neutrals and a few brights that you will absolutely find one you love too! As a busy mom on the go, I love this iPhone wallet. It’s great to throw in my diaper bag to keep everything I need for myself together and organized. This cute crossbody is perfect for traveling and for gamedays where you can’t take in a large bag or need to be hands free. For a new grad or friend who just got a new job or promotion, this business card case is a great gift idea! That leopard clutch is gorgeous! I love everything animal print this time of year!! I love all those picks! That leopard bag is my favorite! Such a great round-up. Love your picks! So many great gifts! love the tassel key fob! Great picks! I love those clutches! Love all of the animal print! I could use a new wallet. The tassel and leopard are such great picks! Love them! Have a great weekend! They’re all so luxe! Perfect for gift giving!